Sources say she turned off some constituencies instead of building bridges. 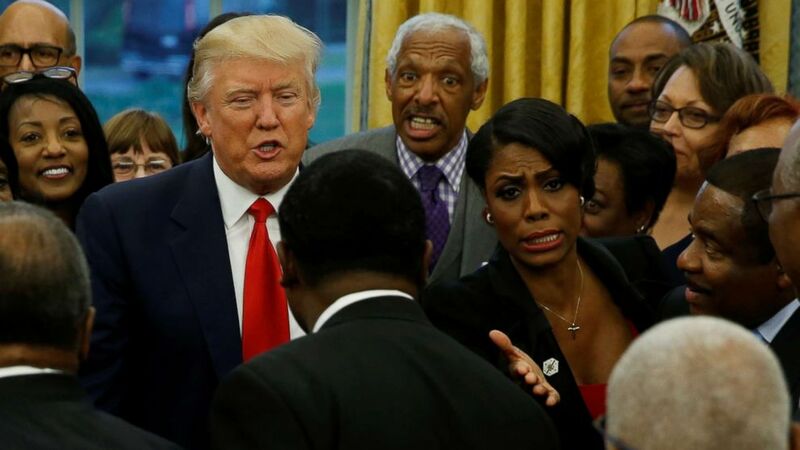 Before she resigned from the White House earlier this week, Omarosa Manigault Newman, the firebrand antagonist from reality television's "The Apprentice," was serving as the most senior African-American staffer in the White House and was tasked, in part, with fostering positive working relationships between the administration and leadership in the black community. However, multiple sources within the White House and outside of the administration with firsthand knowledge of her relationships with the black community tell ABC News they feel Manigault Newman, during her tumultuous 11-month tenure, turned off many of the constituencies with whom she'd promised to build bridges. "There was nothing on substance that she would add,” Rep. Gregory Meeks, D-N.Y., a member of the Congressional Black Caucus, told ABC News. "There was nothing she could deliver other than photo ops. Clearly no one really knew what she was doing in the first place," Meeks said. Several sources within the administration and others hailing from high-profile black organizations say Manigault Newman failed on one of her first big outreach efforts when she confronted, cursed and scolded six key members of the Congressional Black Congress following a high-profile Cabinet room meeting with the President on March 22. Manigault Newman had arranged the meeting with the powerful lawmakers as part of her role as the communications director for the Office of Public Liaison – a position created for her. The meeting had just concluded when the lawmakers asked for privacy in the West Wing lobby to discuss what they planned to tell the media waiting outside, according to sources familiar with the incident, including one senior White House official who directly witnessed the incident. “You don’t get to come into our house and demand to have f------ privacy,” Manigault Newman said, according to the source. The source added Manigault Newman had to be convinced by a member of the White House staff to leave them alone and would not walk away. A source familiar with the incident and who is close to Congressional Black Caucus Chairman Cedric Richmond countered that Manigault Newman didn’t cross the line, but was defending a White House staffer. Richmond attended the meeting. “She was within her right to do that because a CBC person was being a bit rude,” the source said. The meeting with the president was expected to be contentious due to the so-called "birther" controversy Trump had perpetuated during President Barack Obama's term, but instead of a terse conversation, both sides showed a sincere desire to hear each other and work together, according to several attendees. The Congressional Black Caucus and the White House did not respond to a request for comment. Manigault Newman did not return ABC News’ multiple requests for comment. As the most prominent African-American in the White House and a self-professed advocate for African-American issues, Manigault Newman took the blame for this inaction. Multiple CBC members told ABC News they were particularly put off when Manigault Newman referred to herself as “the Honorable Omarosa Manigault” in the invite for the meeting. “It definitely didn’t go over well,” said a former senior Congressional Black Caucus official. Early in the administration, Manigault Newman organized Trump’s visit to the National Museum of African American History and Culture in Washington, D.C.
She also encouraged him to meet with leaders from historically black colleges and universities HBCUs). Many of them were present when he signed an executive order that vowed to support the institutions earlier this year. 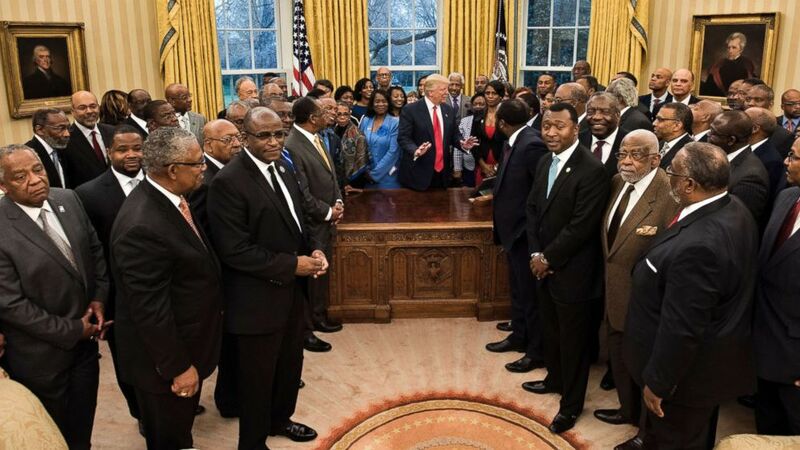 (Jonathan Ernst/Reuters, FILE) White House aide Omarosa Manigault (center R) and President Donald Trump (center L) with the leaders of dozens of historically black colleges and universities (HBCU) in the Oval Office at the White House in Washington, D.C., Feb. 27, 2017. However, at least one of the university leaders present at that meeting expressed disappointment with the outcome. 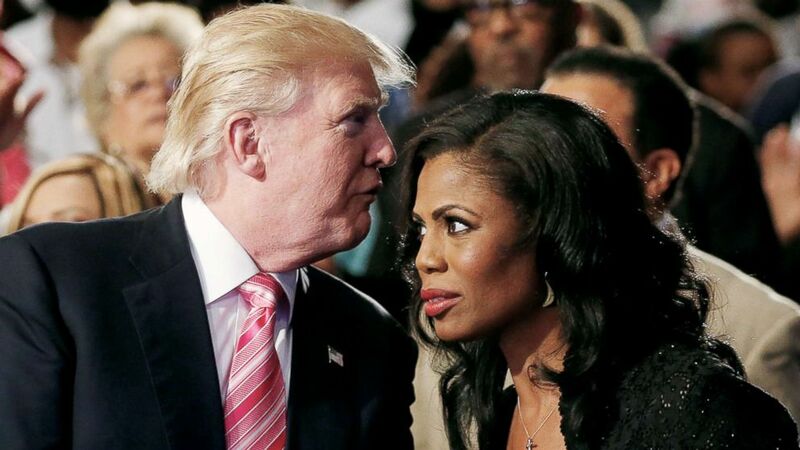 On the campaign trail, “Omarosa insisted that [Trump] talk and show empathy toward their plight,” according to one source, speaking of the African-American community. (Brendan Smialowski/AFP/Getty Images, FILE) Omarosa Manigault (center R), communications director for the White House Office of Public Liaison, stands with President Donald Trump as he waits for a group photo with leaders of historically black universities and colleges in the Oval Office of the White House, Feb. 27, 2017 in Washington, D.C. But at a National Association of Black Journalists' annual convention in August, Manigault Newman sparred with panel host Ed Gordon on stage, leading to an uncomfortable confrontation that spiraled into a screaming match. Omarosa called Gordon “too aggressive” when he asked how she could “sit in a White House” that didn’t condemn police brutality. She threatened multiple times to walk off stage. A spokesperson for the NABJ did not respond to a request for comment. Trump praised Manigault Newman Thursday when asked about her departure, saying "I like Omarosa. Omarosa's a good person." But some others in the White House said they didn't see it the same way. While Manigault Newman was a confidante of the president, she failed to forge other close allies in the White House, according to two White House officials. “It has been very, very challenging being the only African-American woman in the senior staff,” she said. She was also troubled by the president’s much criticized remarks in response to the white nationalist rally in Charlottesville, Virginia, according to a source familiar with Manigault Newman’s perspective. When Gen. John Kelly became chief of staff, he sought to redefine her role, sources told ABC News. She complained of isolation after he cut off her open access to the Oval Office, as he did with other senior staff, according to the officials. She and Kelly had what she described as a "candid conversation" in the White House Situation Room. Even though she had a communications director title, the press team stopped inviting her to the prep sessions for the briefing because she would bring up unrelated topics, according to a senior White House official. Since Manigault resigned on Tuesday, emails to her White House account bounce back and she no longer has access to parts of the White House grounds, sources say. The White House says she’s technically employed until Jan. 20.